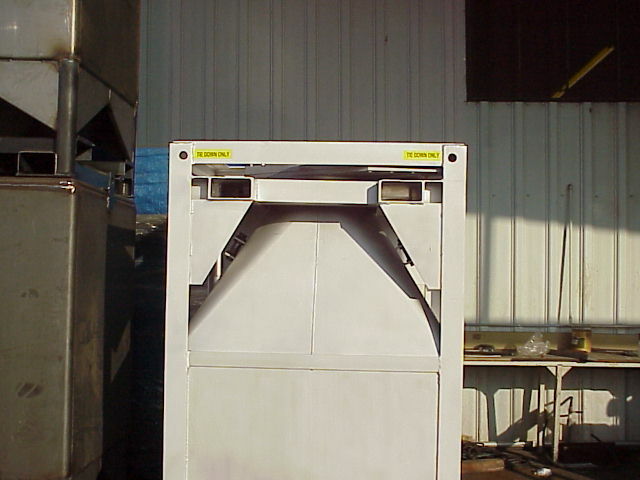 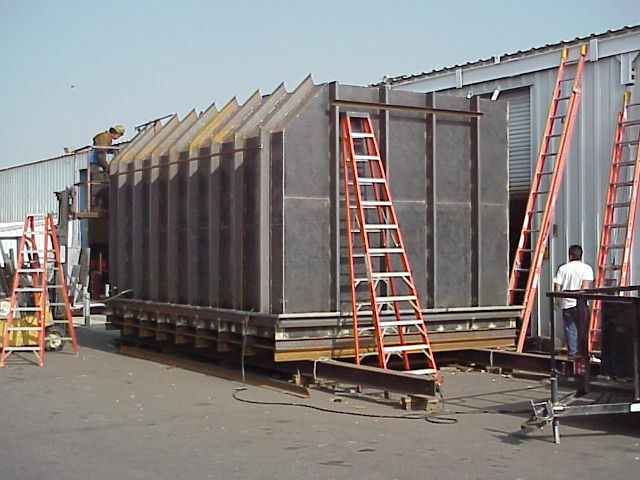 Custom Bins have been a staple at JLMC, Inc. since 1990. 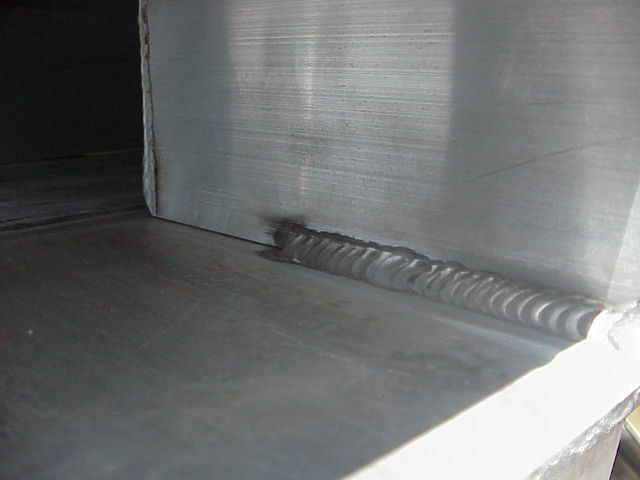 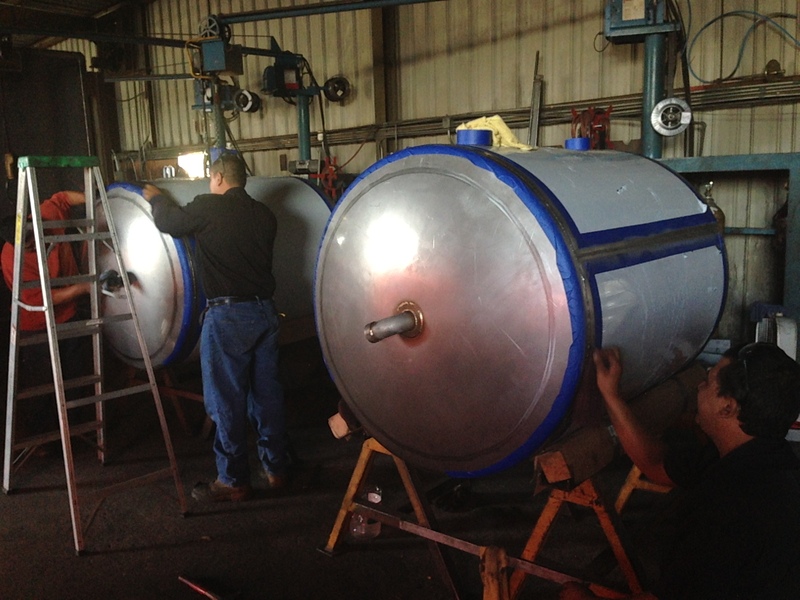 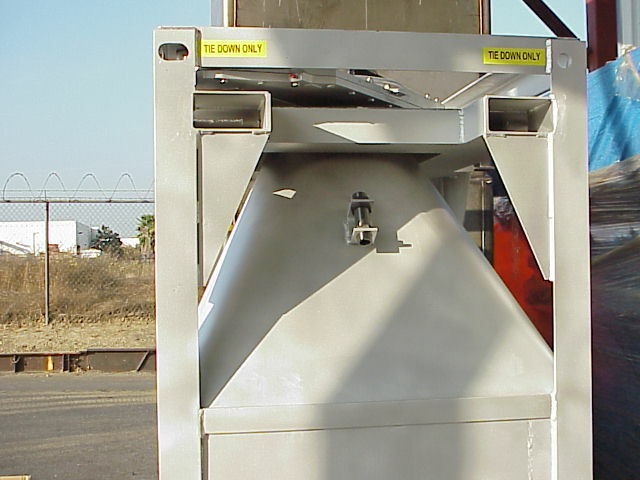 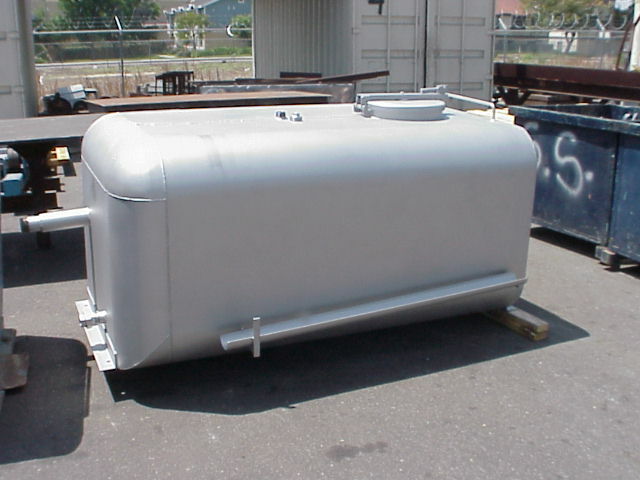 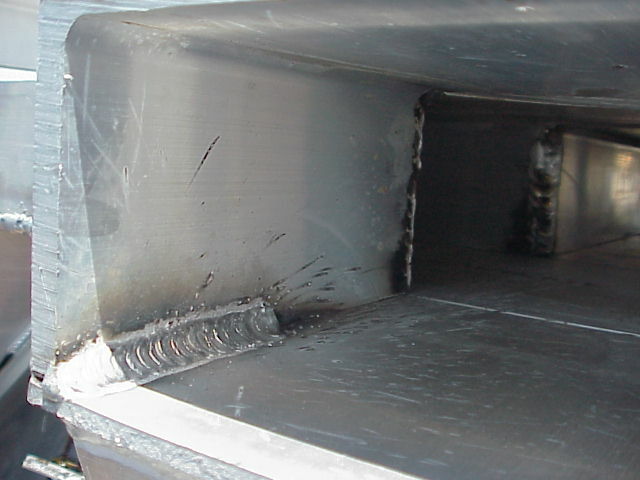 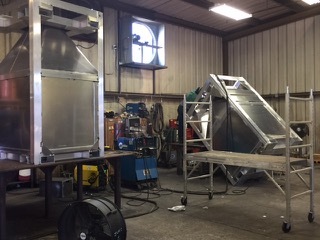 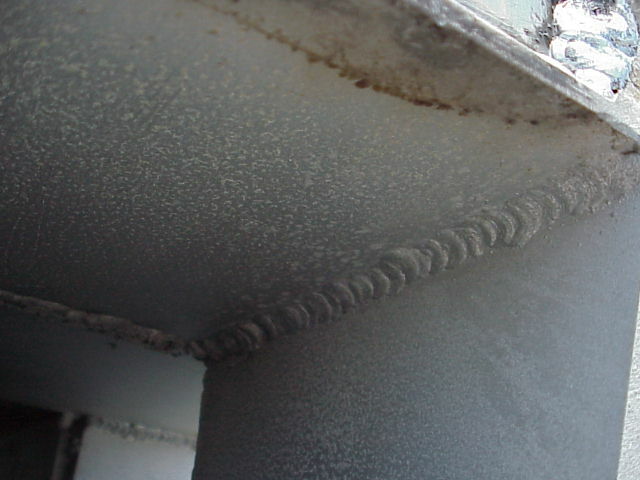 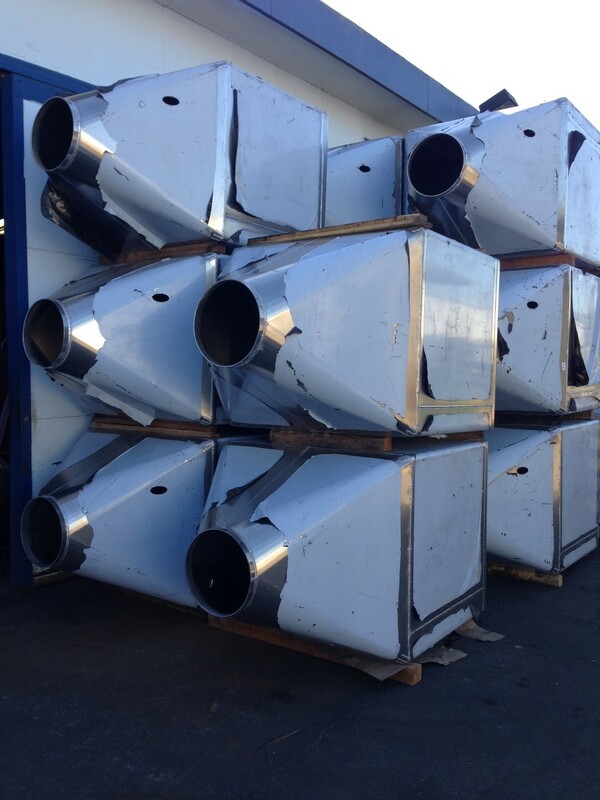 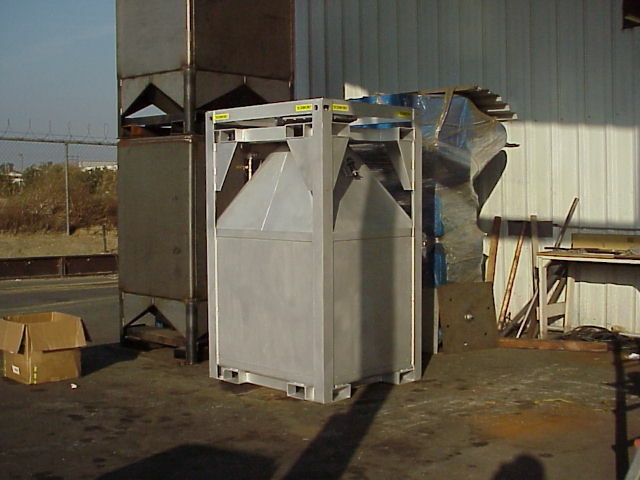 To date, we have made over 10,000 Mild Steel Custom Bins, which consist of aluminum and stainless metals. 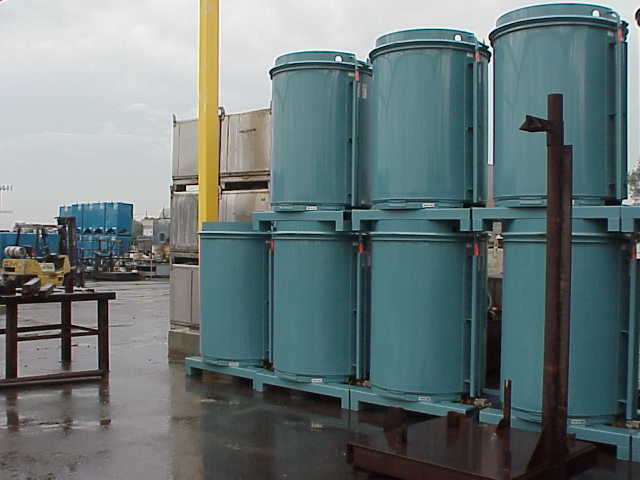 The bins pictured here are 87 cubic feet. 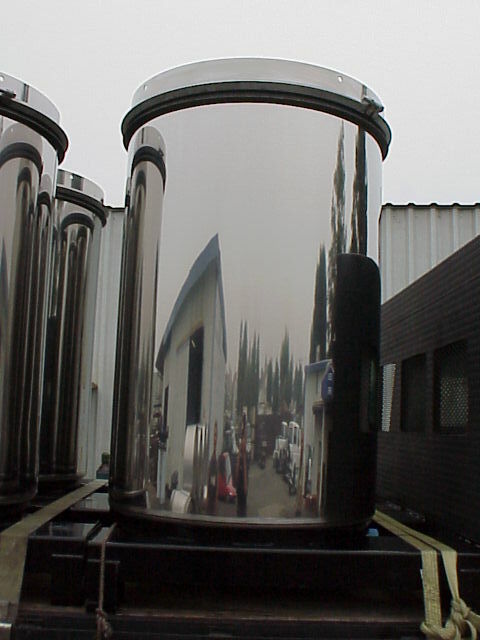 These can be fashioned to your specifications. 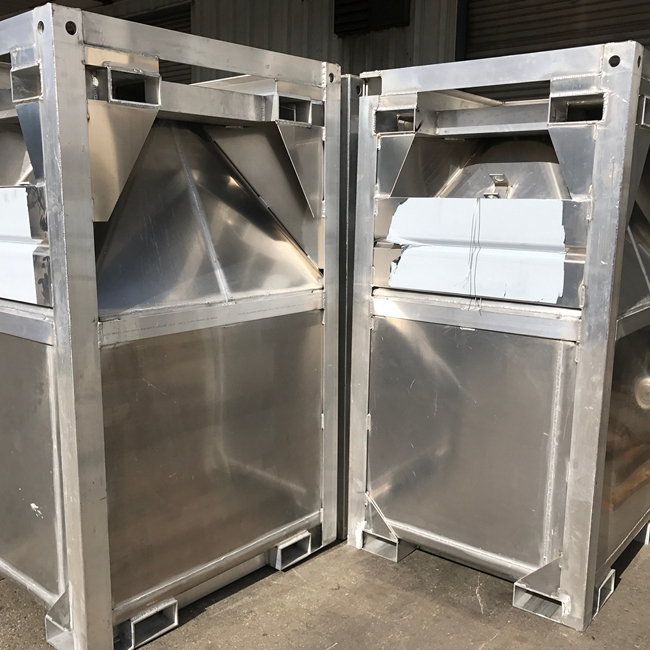 The shape of these bins are mostly circular and rectangular; however, they can be made in any shape needed from square to oblong. 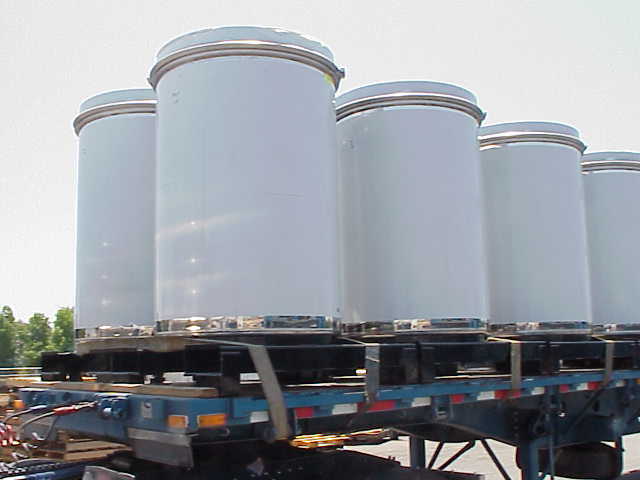 These bins are food and liquid-grade and are used internationally to carry many items used by you to this day. 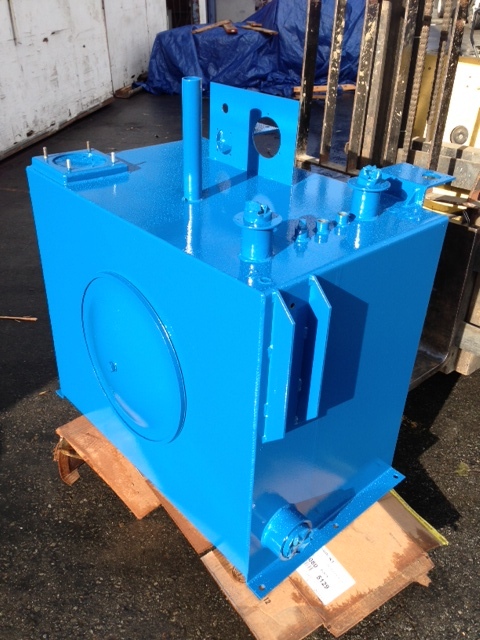 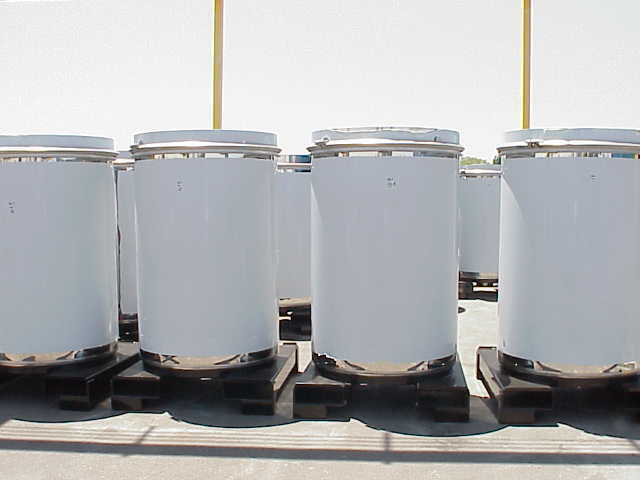 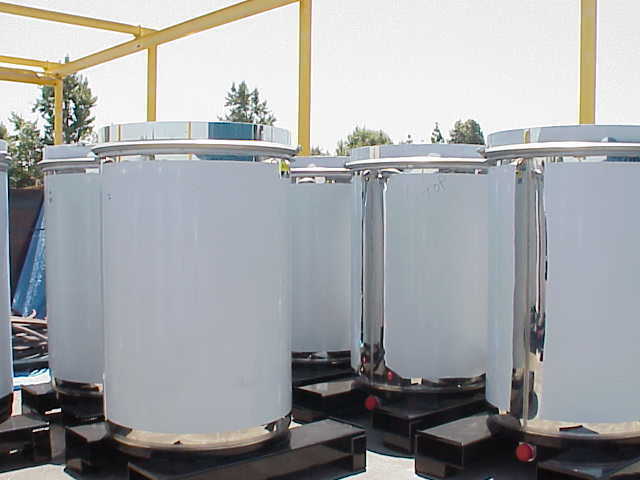 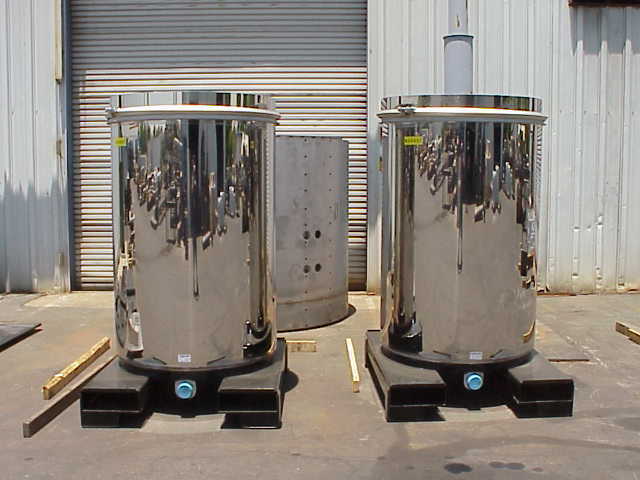 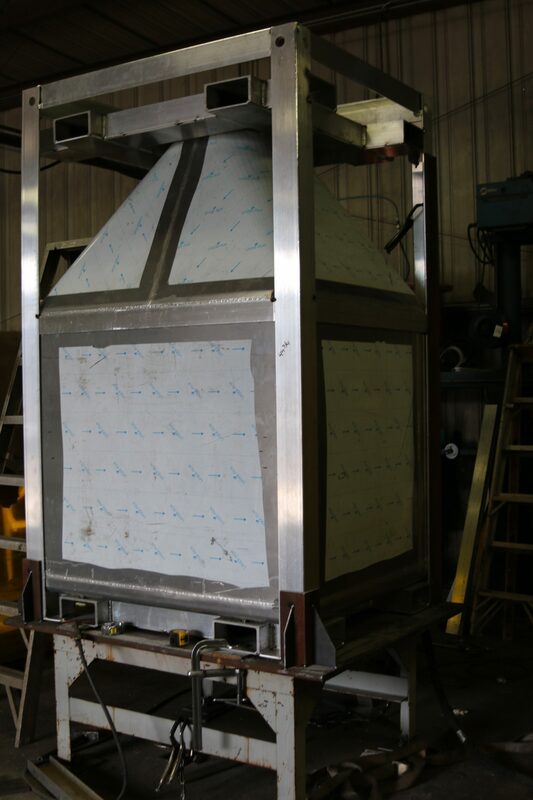 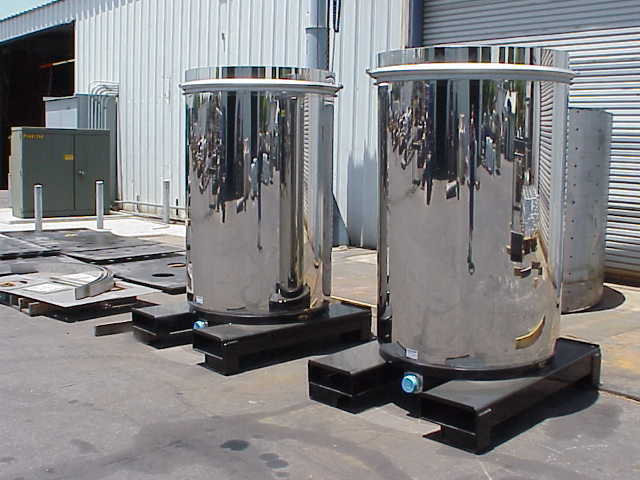 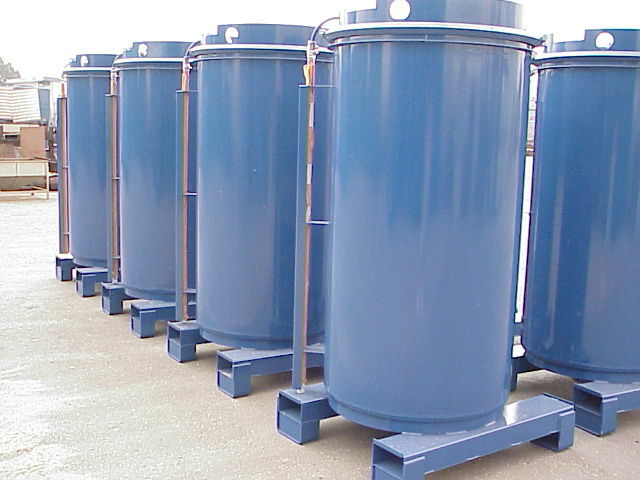 If you are in need of a custom bin project like these, please contact JLMC, Inc., and we will have one of our sales representatives contact you within 24 hours. 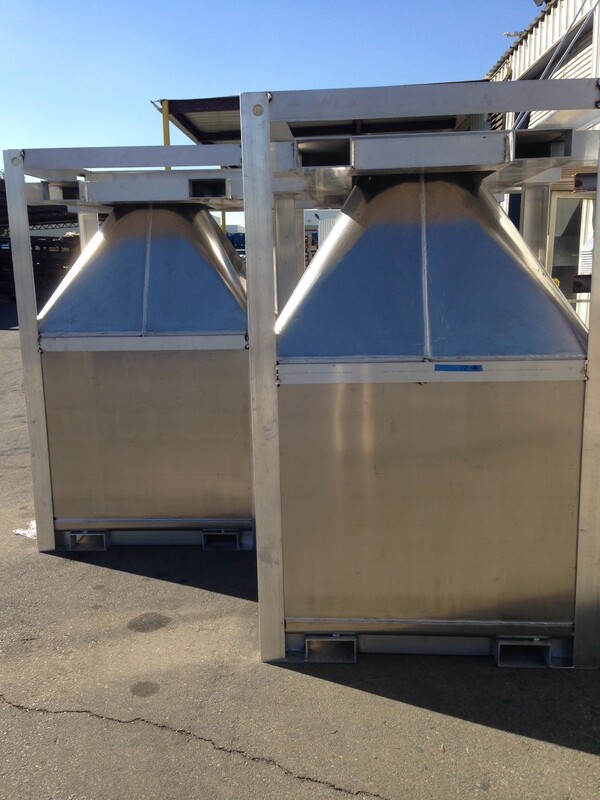 Call us at 909-947-2980 or fill out our online contact form for more information.